Jim comes from Bozeman, Montana, so his immersion into Alaska was smooth. Professionally a photographer, Jim just loves to ride and to share Alaska, with all its grandeur and wildness, to anyone who will listen. 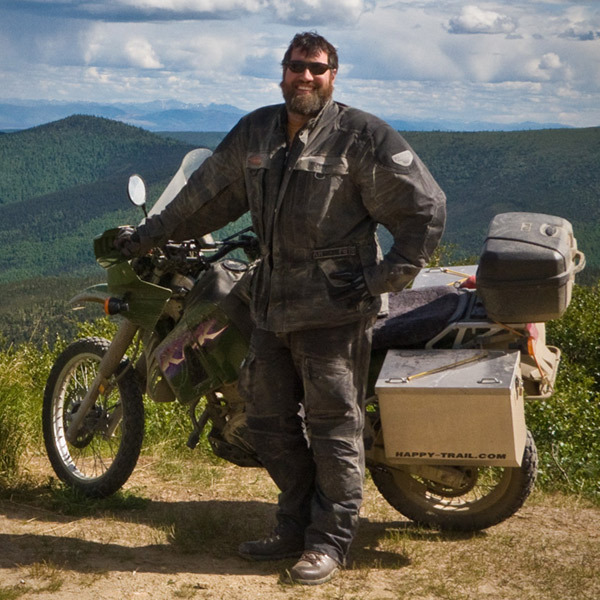 An excellent rider with exceptional people skills, Jim brings much to the MotoQuest team. He also studied Archeology and specialized on the Lewis and Clark Expedition. He has worked on several sites where they camped on their journey across the USA, and that is why he also leads our Lewis and Clark Adventure. And, if you ever wanted to learn more about photography while out riding, Jim is your man! Quote: f/8 and be there! Favorite Motorcycle Experience: All of them!